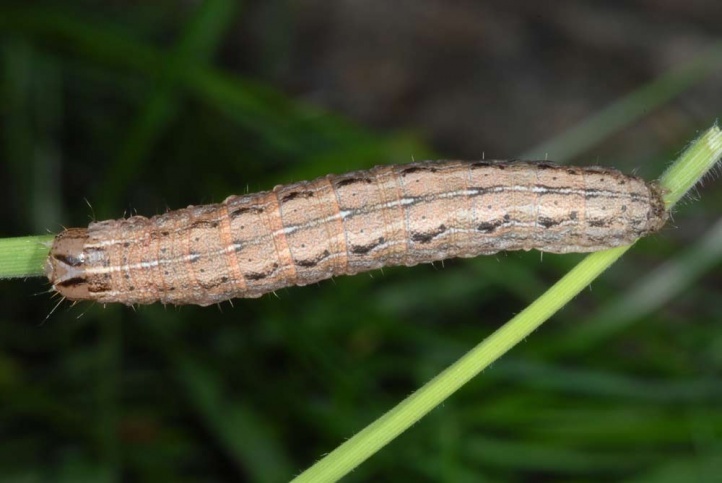 The caterpillar lives on grasses (Poaceae). 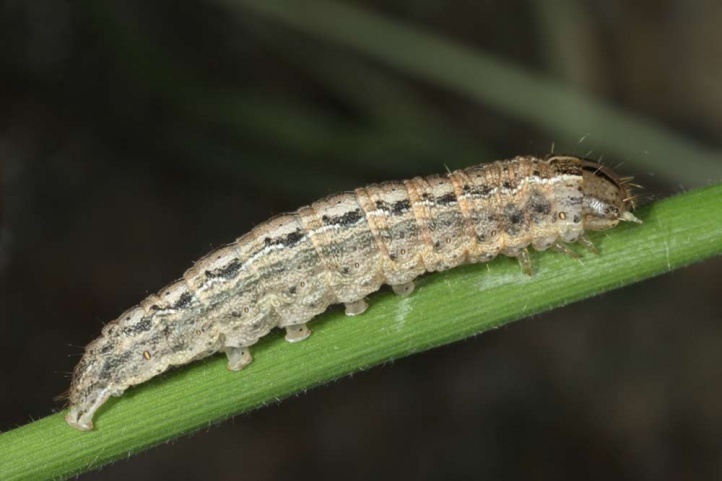 In La Gomera, I found many larvae on Brachypodium arbusculum. 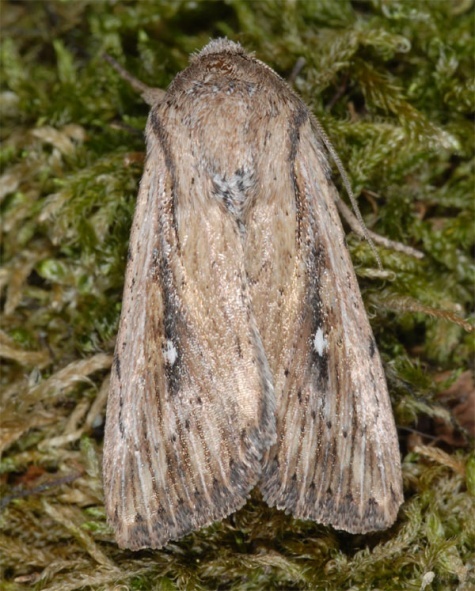 But the species is not dependent on this species. 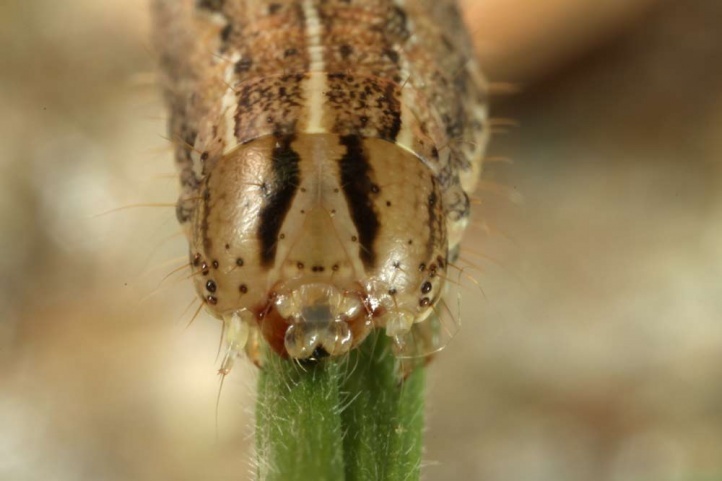 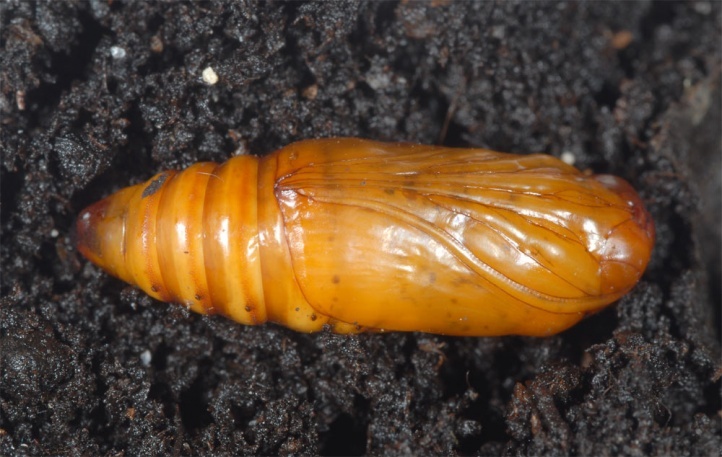 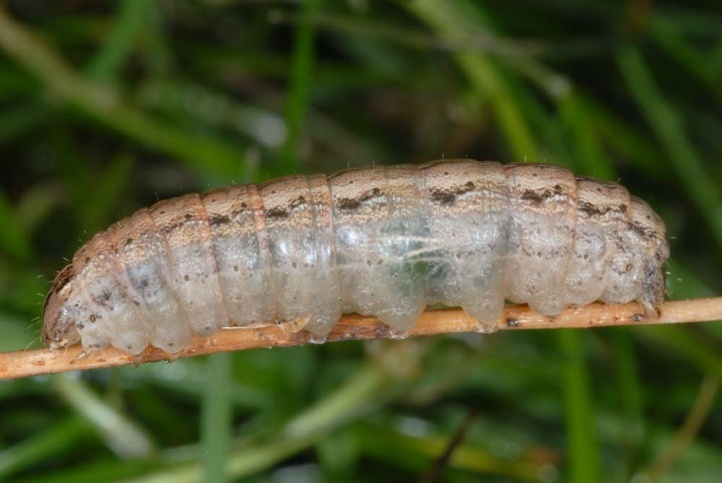 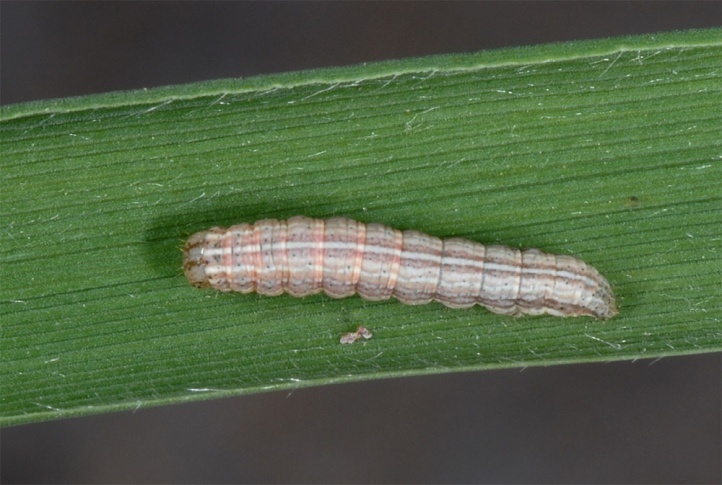 In December 2012, I observed larvae in La Palma together with those of Noctua noacki on other grasses. 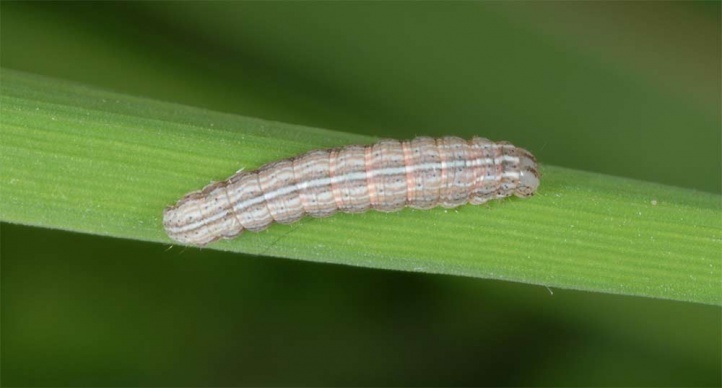 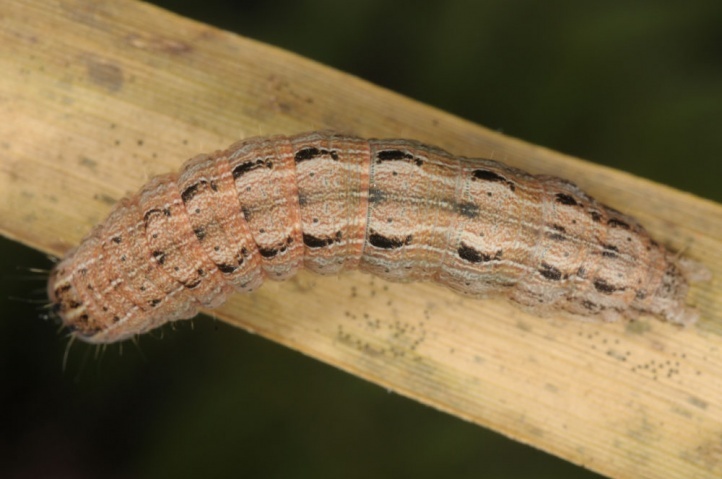 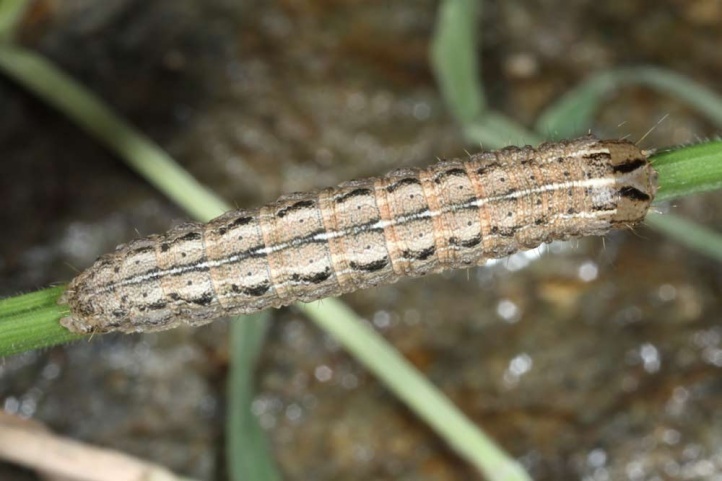 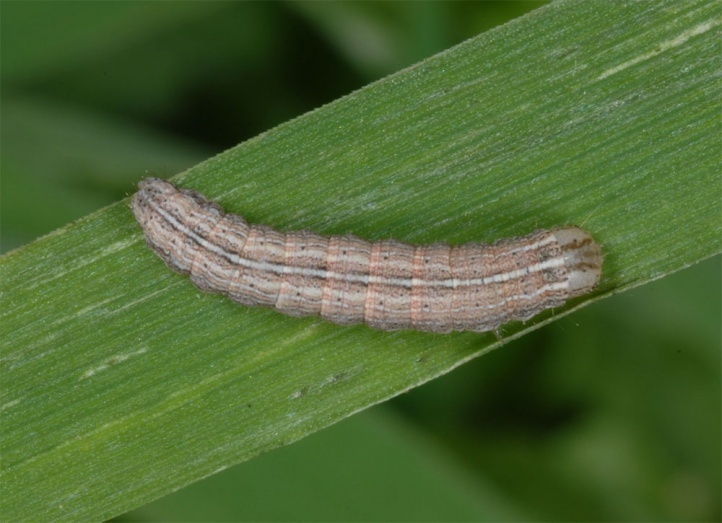 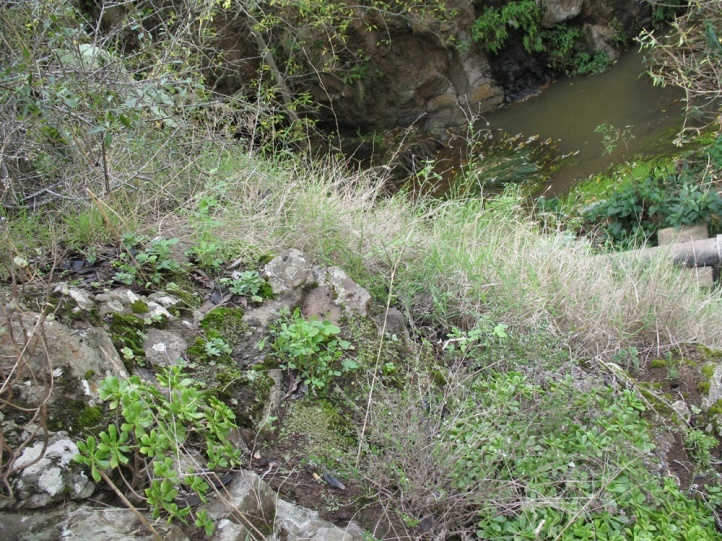 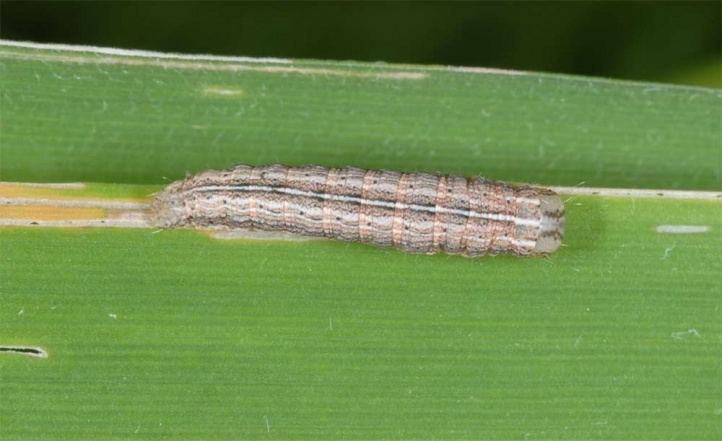 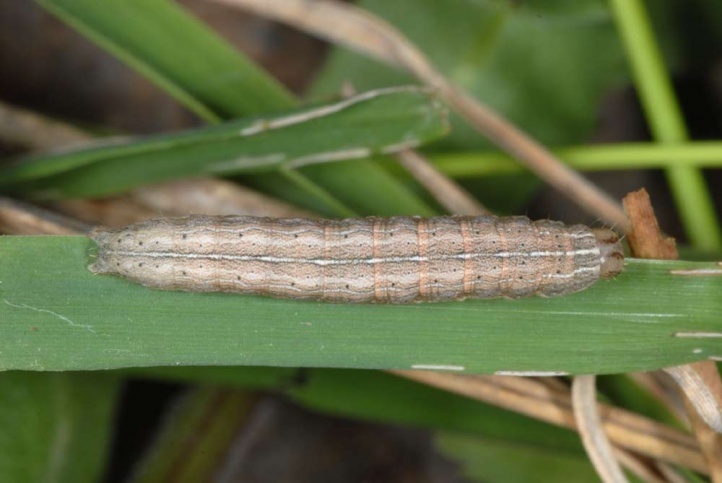 I found the caterpillar in La Gomera near Agulo in December 2009 in a willow-rich (Salix canariensis) river valley in tufts of grass (Brachypodium arbusculum) along the stream and in those that were growing on moist, semi-shady rocks. 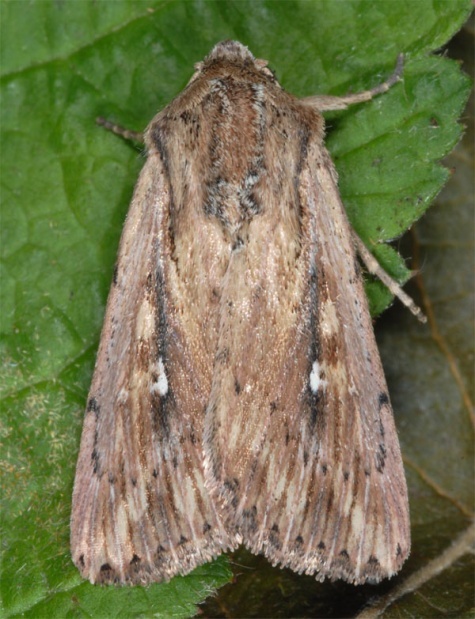 Leucania fortunata should inhabit all humid, grassy meadows and woodland edges. 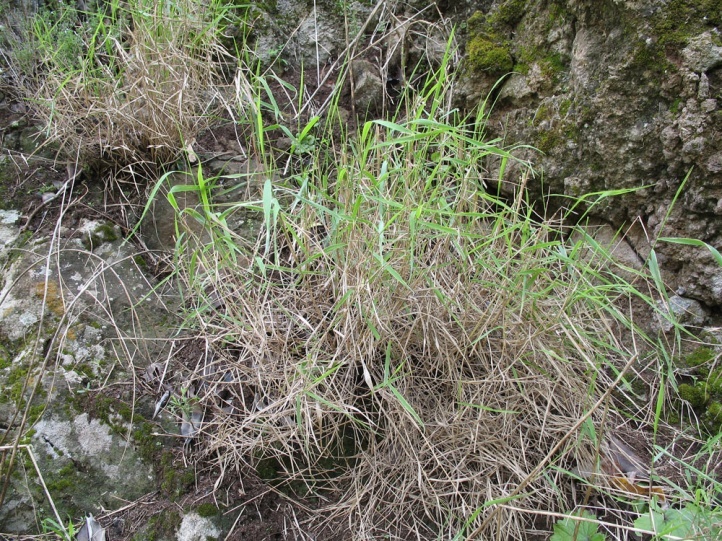 In December 2011, I found caterpillars in Valle Hermoso on only moderately moist, partly even sunny and fairly dry rocks also on Brachypodium arbusculum which thus seems apparently to be the most important host plant there. 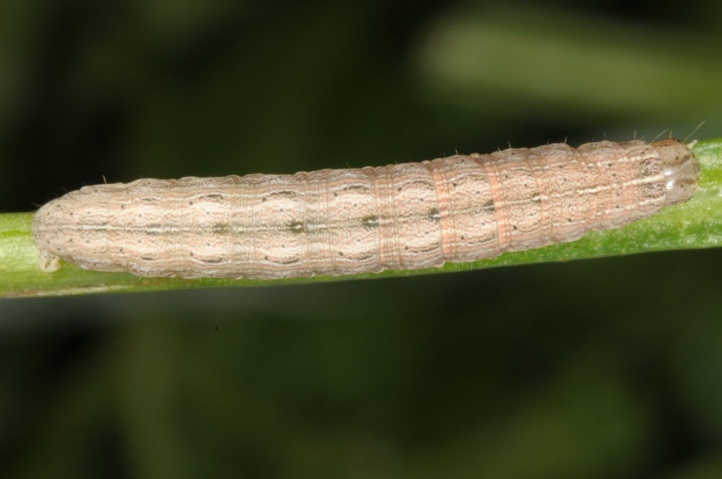 I found the caterpillars in mid-December 2009 fairly common in all age instars in La Gomera. 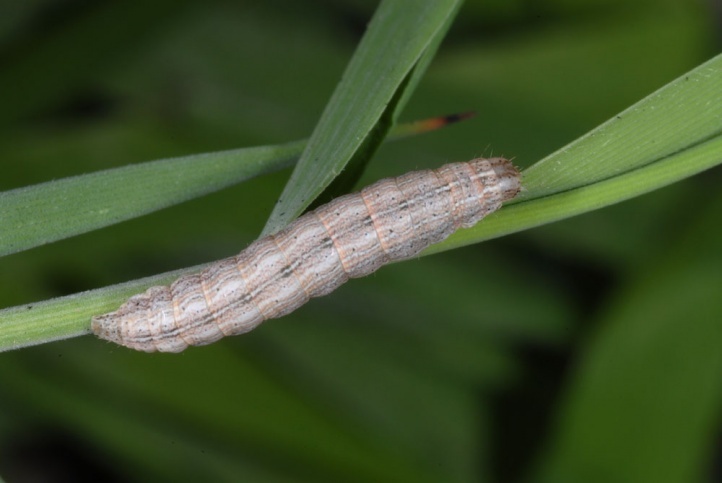 The caterpillars entered in breeding already in the cocoon a 6-8 month long dormancy before they finally pupated, so the moths emerged in breeding in summer. 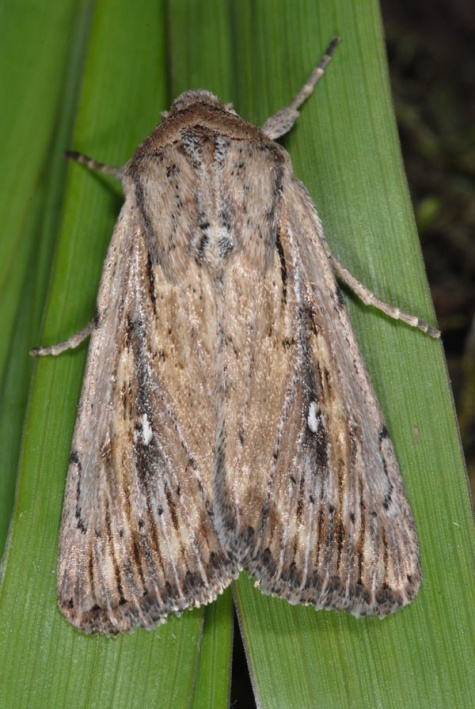 In the field it is to be expected, that moths fly especially from August to early December. 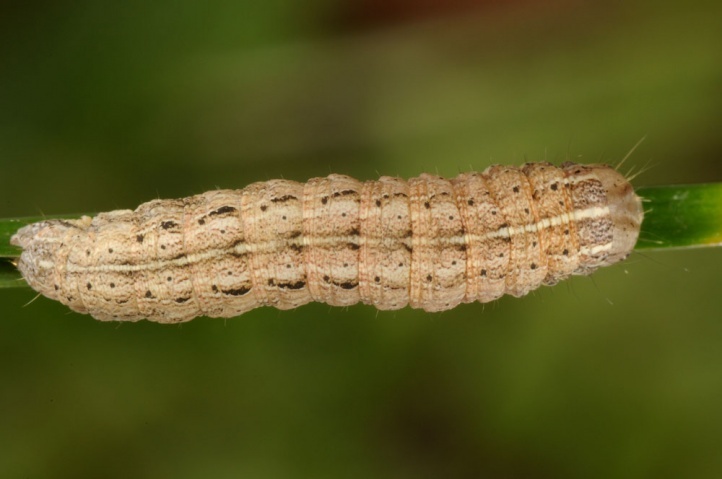 The caterpillars live from October to January/February. 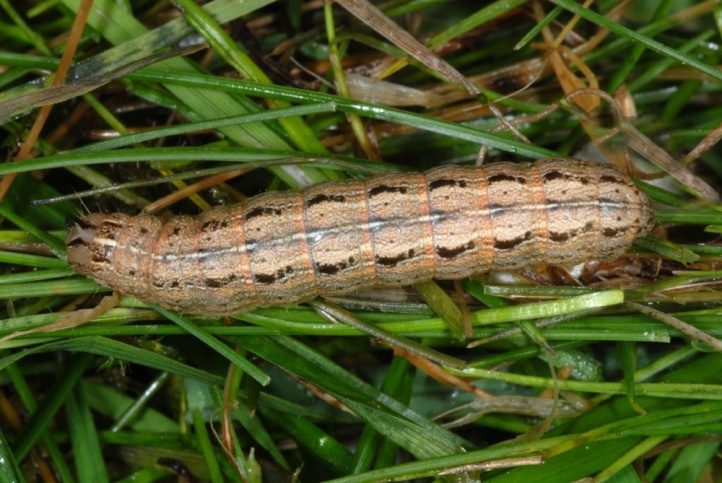 They hide during the day near the ground in the grass. 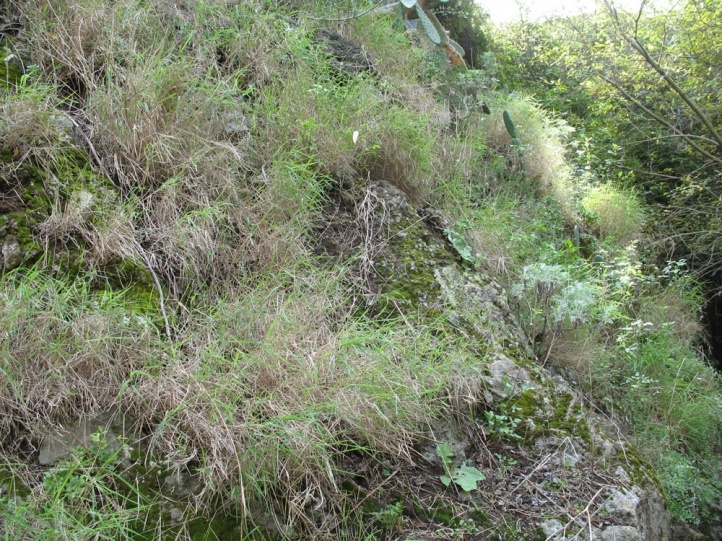 Leucania fortunata has certainly already lost many sites by human settlement activity, and particularly by the mass tourism. 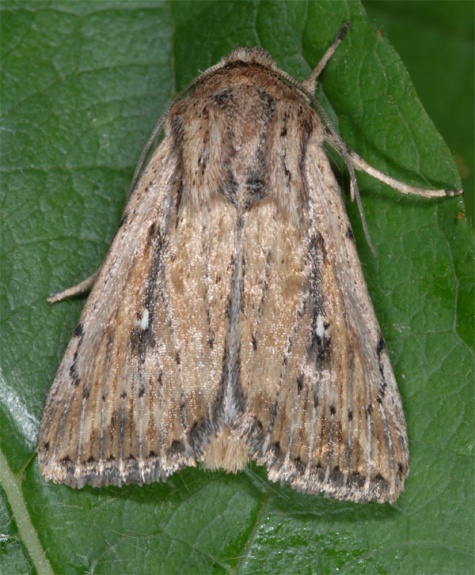 Leucania fortunata is endemic to the Canary Islands (Spain) and here limited to the western islands (missing in the pure dry islands of Fuerteventura and Lanzarote).